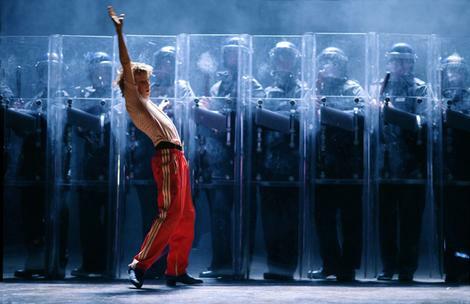 As Stated by Broadway.com, "featuring the musical mastery of Sir Elton John, Billy Elliot shares the inspiring story of a poor, working-class boy who discovers his passion for dance as his family grapples with adversity." This show is about the drive of a young boy to fulfill his dream of becoming a dancer despite the obstacles he faces! Billy Elliot which is indeed about a child, but would probably not be a show to bring the whole family too. This show is "littered liberally" with bad language which is often spoken by the children in the show themselves. There are also a few violent rioting scenes that might make this show unsuitable for children. On the other hand, this shows message would be a great thing for the tweens and teens of our communities to experience. Tickets can be purchased at the Box Office, over the phone at: 800-432-7250, or online at: www.telecharge.com. The Box Office Hours are Monday-Saturday from 10am-8:30pm and Sundays from 12pm-6pm. General Rush: There is a general rush for the side sections of Rear Mezzanine rows D-F priced at $41.50 for Tuesday, Wednesday, and Thursday performances. These tickets can be purchased at the box office. Student Rush: There are $41.50 tickets available for students who bring a valid ID starting two hours before the show starts at the box office. These are cash only tickets and are only available for Tuesday, Wednesday, and Thursday performances and are limited to 2 tickets per ID.